A beautiful infographic, but landscape orientations don’t work as well as portraits. Heard on the radio this morning there “were no clear front runners.” I am assuming that means according to the London bookies. 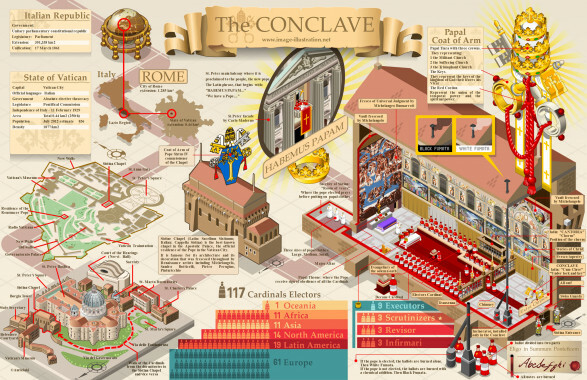 The Conclave infographic by aurielaki.